Heading into the holiday season at Walt Disney World is always a special time, with the parks and resorts decorated, along with special shows, parades and fireworks throughout the four parks. It also marks the start of the ticketed event - "Mickey's Very Merry Christmas Party." Taking place on 20 nights this year from November 9 to December 21, see why Mickey's Very Merry Christmas Party is well worth fitting into your Walt Disney World vacation plans. Before we look at what you can expected, let's talk about how much it will cost you. "Mickey's Very Merry Christmas Party" costs $64.95 + tax for adults, and $59.95 for kids. This is where our first tip comes in, there are some significant discounts to be had. Passholders can save $10 on that price, and non pass holders can also save $6 by purchasing tickets in advance. There are blackout dates for both discounts, so check those before booking. Some nights do sell out, in fact so far this year the opening three nights have sold out in advance, so pre-booking your tickets is both the cheapest and a way to guarantee your entry on hour chosen day. See full pricing details. So what do you get for your ticket? On party nights, guests with a Christmas Party ticket can enter the park at 4pm. The event doesn't start until 7pm, but those extra 3 hours give you time to get into the park and hit some attractions prior to the party starting. Party night days are typically less crowded during the day, so wait times even before the party starts tend to be lower than normal. The early entry will also let you see "Cinderella's Holiday Wish" which starts at 6:15pm. This is a great start to the night as the castle is lit with 200,000 Castle Dreamlights in a short stage show in front of Cinderella Castle. Once the party starts at 7pm, the entertainment comes thick and fast, so let's first talk about the must-sees. "Mickey's Once Upon A Christmastime Parade" is performed twice during the party, at 8:15pm and 10:30pm, starting in Frontierland. The parade is probably the best of the year at the Magic Kingdom, with fantastic floats, costumes and music. You will be guaranteed to be humming the music afterwards! Our tip for this parade is to skip the first, and watch the second. Most people tend to line-up for the first pride after arriving in the park, and it can be busy. If you are looking for less crowds, Frontierland is a great place to view the parade from. If you are looking for the ultimate Christmas feel though, view from Main Street USA, where the lights of Main Street USA and the snowfall from the rooftops adds some extra magic to the parade. "Celebrate the Season" is our second must-see entertainment. Taking place on the Castle Stage, it is performed three times, at 7:45pm, 10:05pm and 11:20pm. Just like the parade, you will find that the early shows are busier than the later shows, with the final show at 11:20pm usually having very low crowds. The show features all of your favorite characters dressed for the holidays, and a whole host of holiday music. It runs for approximately 20 minutes, and you can get great views from anywhere in front of the Castle Stage. What night at the Magic Kingdom would be complete without a firework show? 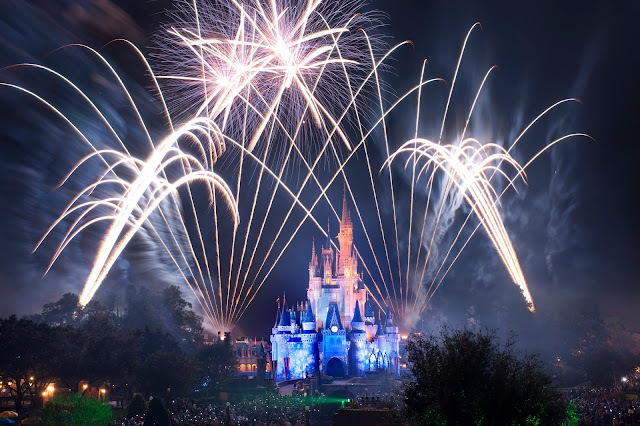 "Mickey's Very Merry Christmas Party" has you covered with a spectacular firework show - "Holiday Wishes - Celebrate the Spirit of the Season". Shown on each party night at 9:30pm, the show is exclusive to the party, and features perimeter fireworks that surround the park. Great music, and some unique pyrotechnic effects on the castle make "Holiday Wishes" a definite must see experience. 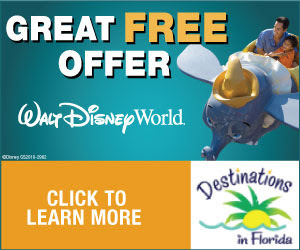 New for 2012, and taking place just before the fireworks is "Celebrate the Magic" holiday edition. This castle projection show is a great pre-show to the fireworks, so get in position on Main Street USA to take in both shows. Besides all the shows and parades, "Mickey's Very Merry Christmas Party" also gives you a chance to ride the vast majority of the Magic Kingdom's attractions with much lower wait times than you would typically get on a regular day. Nearly everything is open, and wait times are typically in the area of 5 to 10 minutes. It is a great opportunity to do a lot of rides in a short period of time. There are also two dance parties for the younger ones, "Woody's Hootin' Holiday Open House" at the Diamond Horseshoe and "Club Tinsel" at Cosmic Ray's Starlight Cafe. A whole host of Disney character meet and greets are are available, with appearances by some of the rarer characters that you will not find in the park during regular days - such as all seven dwarfs. Finally, your ticket includes unlimited cookies and hot chocolate, available at six locations throughout the park. New for 2012 is the choice of chocolate chip, macadamia white chocolate chip and sugar cookies. We are not talking small cookies here either, they are big 3 inch diameter cookies! There are also some healthy snack alternatives for those who want something a little less sugar loaded. "Mickey's Very Merry Christmas Party" packs in a lot of entertainment into a short amount of time. You really need to plan ahead and work out what you want to see and when. If you don't do this you can find yourself rapidly running out of time and missing things that you really wanted to see. Our final tip is to check out the schedules and make a list. Remember that the later shows and parades tend to be less crowded than the earlier ones. View the 2012 Guide Map and Schedule. The snow fall, music, and decorations on Main Street USA create a wonderful holiday atmosphere, and combined with some of the year's best parade and fireworks shows, "Mickeys Very Merry Christmas Party" is a very popular choice with guests for good reason. Check out our full guide for additional information, along with all the prices and dates.